Zelda U is slated for 2015… just like it was back during E3. It’s nice seeing the timetable for the game hasn’t changed yet at this point. 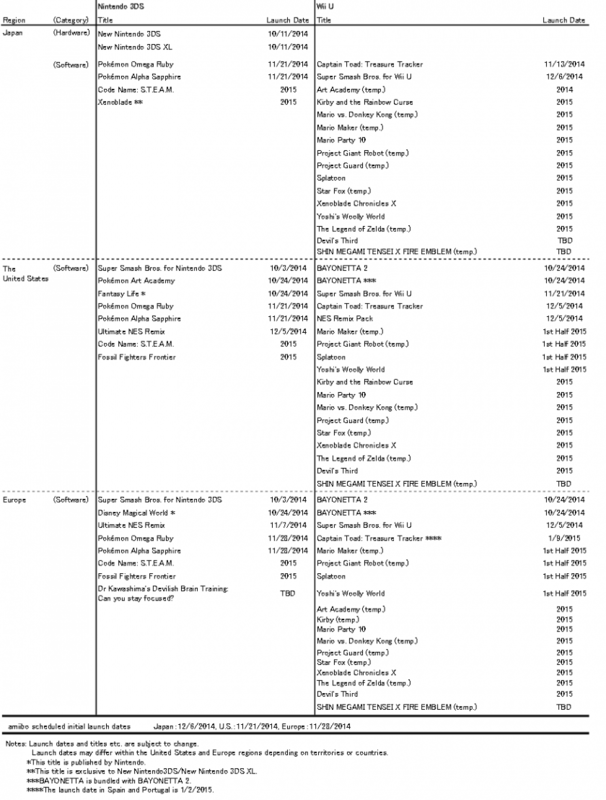 This is according to a game release list handed out by Nintendo in their latest financial report. There are some nice nuggets in there about other future games, Zelda U still slated for 2015 is just some nice reassurance. I know some fans thought the 2015 date was too optimistic and we wouldn’t get the game until 2016, typically citing evidence of previous game delays in the series. What I find intriguing is that project Giant Robot, a demo at E3 this year that most didn’t find that great, is actually coming out in the first half of 2015. Always thought that game could use a lot more refinement. Still… I would be silly to not mention Splatoon, a game I am looking forward to almost as much as Zelda.